Many American companies are anxious about the trade war with China. It escalated last week when the two economic superpowers imposed tariffs on each other's imports. But trade battles have been going on since the start of the year with billions of dollars on the line. 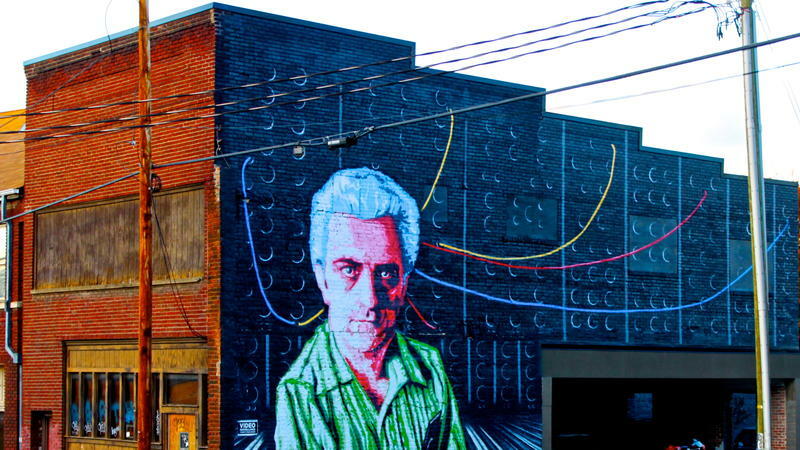 NPR's Dustin Dwyer looks at the ripple effects across the U.S. economy. DUSTIN DWYER, BYLINE: The Trump administration says the tariffs are about protecting American jobs, and some American jobs have been saved. In Hillsboro, Ore., a solar plant got a second chance at life earlier this year after tariffs on imported solar panels went into effect. In Clyde, Ohio, the Whirlpool Corporation says it's adding 200 jobs because of tariffs on imported washing machines that started in January. And then there's Clarksville, Tenn.
KIM MCMILLAN: If you have ever heard of the Monkees song, that's us - "Last Train To Clarksville." DWYER: That's Clarksville Mayor Kim McMillan. Clarksville was in line to get a washing machine factory from LG, a Korean company. McMillan says she worried the tariffs on washing machines would pummel LG and ruin plans for the factory. But instead, LG is speeding up construction. MCMILLAN: They have been working as hard and fast as they can to get this plant online. 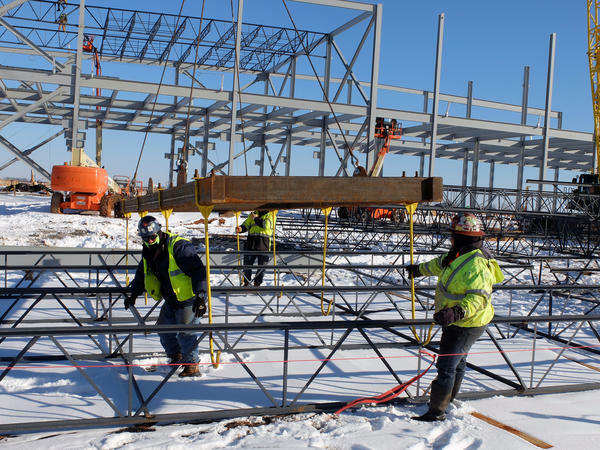 DWYER: McMillan says LG may be able to open the factory a year ahead of schedule and bring 600 jobs with it, but the tariffs haven't been good for all U.S. communities. In Owosso, Mich. - population 15,000 - Tom Campbell expects to take a $30,000 hit on his family-owned business because of tariffs. His business - the local, daily newspaper. 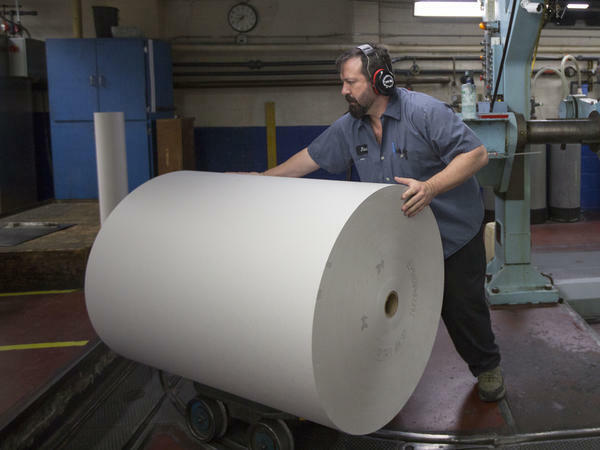 The price of paper has skyrocketed since the Trump administration launched a 22 percent tariff on imported newsprint from Canada. TOM CAMPBELL: Around about October, November, December, things started going crazy (laughter). And they still are. DWYER: And in Florida, the much larger Tampa Bay Times announced its costs are up about $3 million because of tariffs. And layoffs have already started. But the biggest impacts from tariffs so far this year come from the back-and-forth over aluminum and steel. The Trump administration imposed its tariffs in June. Canada, Mexico and the EU have all responded. Some American companies are getting hit twice, companies like Correct Craft - a Florida-based boat-maker. CEO Bill Yeargin says, one, he's facing higher aluminum prices. Even though Correct Craft buys American-made aluminum, prices are up across the board because of tariffs. And, two, the retaliatory tariffs from Mexico, Canada and the EU target boats. Yeargin says he's already lost orders from dealers in those countries. Before the tariffs, Correct Craft was planning to hire 50 new workers to build more boats. Now that may never happen. BILL YEARGIN: There's a good chance that we won't. And so right off the bat, you know, that's starting to impact our business from the growth potential and opportunities that we have. MCMILLAN: They were unable to start production because of the global trade issues that we had with China. DWYER: China hit the U.S. that year with a tariff on polysilicon. The $1.2 billion Clarksville factory never opened. The tariff devastated American companies in the polysilicon business. And years later, the tariff still stands. Though, now, it's just one small part of a growing global trade battle. Dustin Dwyer, NPR News. Transcript provided by NPR, Copyright NPR. The Chinese government plans to implement retaliatory tariffs on $50 billion worth of American goods next month. 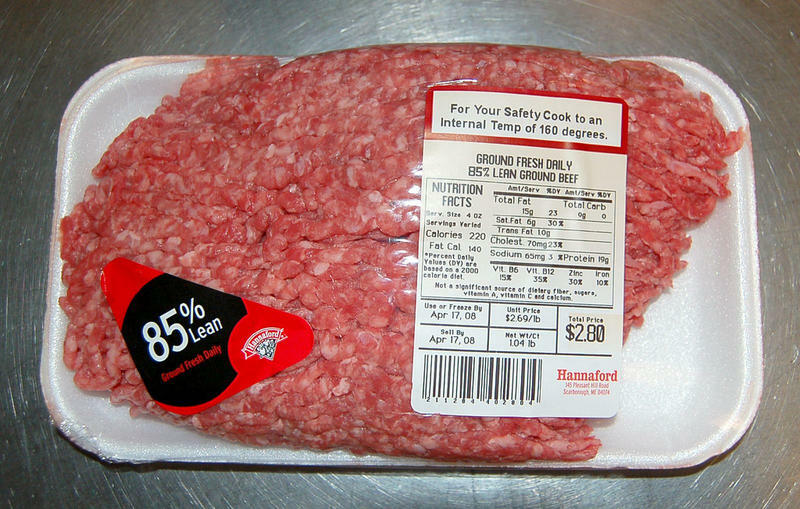 Although beef is on the list, Oklahoma cattlemen are also keeping an eye on pork tariffs. China is an up and coming market for Oklahoma’s cattle ranchers. American producers just regained access to China as an export market when a 14-year ban on U.S. beef exports to the country was lifted last year. 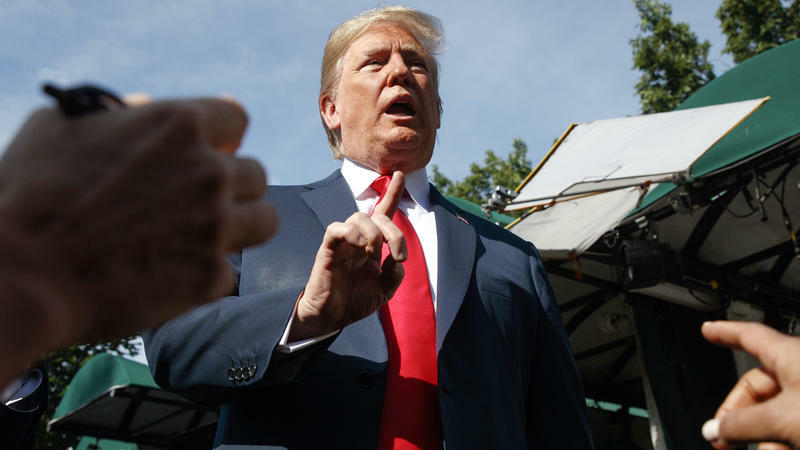 President Trump is enacting a 25 percent tariff on $50 billion of Chinese goods "that contain industrially significant technologies," after months of exchanging threats amid concerns over a potential trade war. U.S. Customs and Border Protection will begin to collect tariffs on the first $34 billion worth of Chinese imports on July 6. A second set of imports subject to tariffs is still under review.